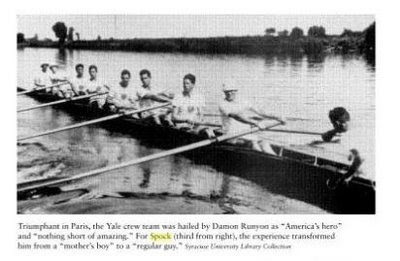 The Olympics are being held in a faraway place this year, just as it seemed to young Benjamin Spock and his Yale Crew teammates who won the Gold Medal at the 1924 Paris Olympics. The 1924 Olympics were later celebrated in the movie "Chariots of Fire". A portrayal of the opening ceremony is clipped below. But one of the most delightful upsets for the Americans that year was the improbable victory of Ben Spock and his mates, who later were celebrated on the cover of Time magazine. 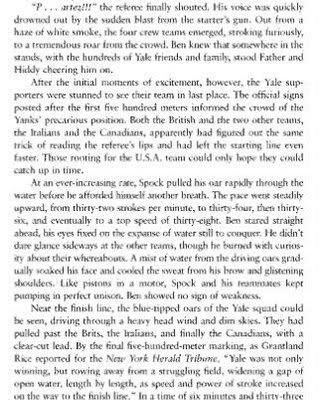 The whole wonderful tale of this victory is recalled in "Dr. Spock: An American Life," which someday soon may be a movie too!